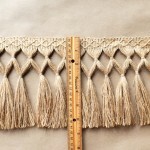 Jute Diamond Double Knot tassel fringe. 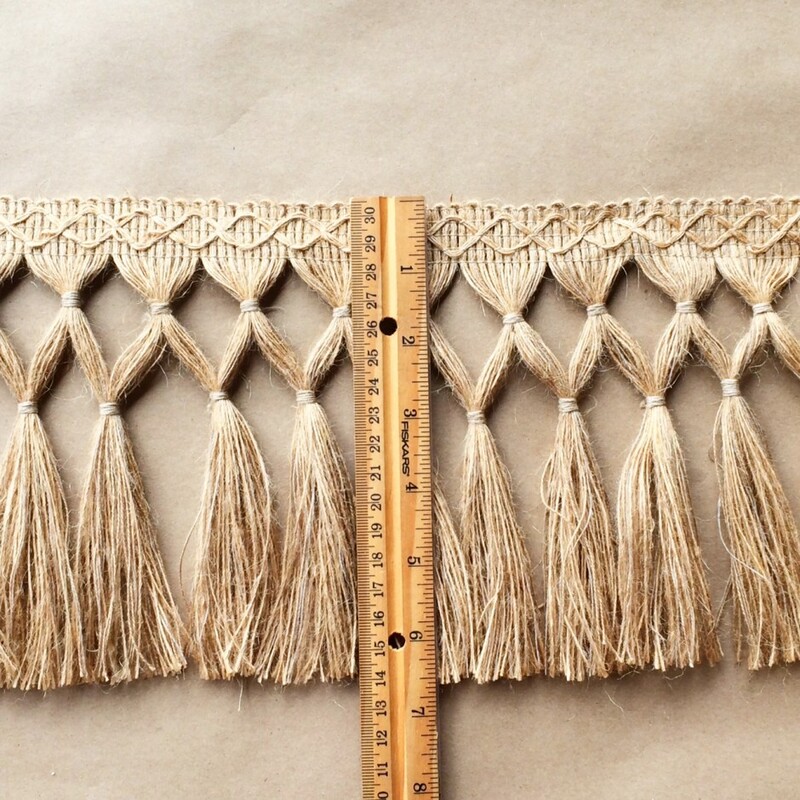 This fringe is hand tied and 6.5 inches long. It can be made in longer or shorter lengths. 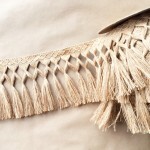 All tassel fringes are tied to order so please allow 2-4 weeks for shipping. If you need sooner please send us message or call with specific deadlines.